Jim, You will have no problem getting a job I still have two weeks of school left and I already have five prehire letters and at least three more potential ones. These companies want you as much as you want the job and if you meet their minimum qualifications they will give you an opportunity. 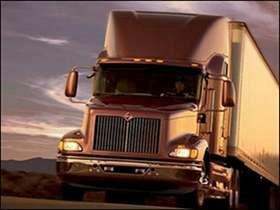 Jim, welcome to trucking truth, you have found a website that is truly honest and balanced on the lifestyle of trucking. I am same age as you I was a pastor and I also drive a,school bus. It was a tough decision for me but I come to learn that I was cut out to drive a truck it is really something I have wanted to done since I was a kid. I've been in school for six weekends got two more to go I test on 12/19 and then I'm set to leave on January 6 to go to H O Wolding to start my driving career. We are not too old, we are mature and from what I have found most companies like people our age especially with good driving records and good backgrounds. The biggest question I had to ask myself was am I willing to take on this type of a lifestyle, once I settle that question the rest was just a matter of choices about such things as schools, companies to work for which companies best fit me and what I am looking for. If I can do this you can do it; there are going to be good days and bad ones but you will make it. Just decide if this is the lifestyle you want, I didn't say a job it is a lifestyle, then do your research and make your decisions. These websites that have theses horror stories, I'm sure they happen but I wouldn't say they are the norm, that's why this website is great because you will get the truth about truck driving the good with the challenges. Sam, I am not driving with them yet but I have been pre-hired by them. I did alot of research on the companies that hire inexperienced drivers. The section on here about that is a great place to start. Brett has got all the pertinent information all together in one place. H O WOLDING is a good starter company in my opinion. I talked to Carol in recruiting for over an hour the first time she told me everything I wanted to know plus more. She was not just giving me a,sales pitch she was honest and sincere after talking with her I felt like I was talking to my neighbor. They are a mid-size company which l like. When you talk to them you quickly come to see that you are not just a number but you are a person with a name. If you look at their Facebook page you will see that from drivers and people who have posted there. Next search their name on the internet you will find little to nothing in the way of complaints about them. Next look at their fmcsa safety rating very impressive to me which shows they are very safety conscious which to me says they not only care about the company but they care about me and the lives of others. It also says to me they hire only quality people. I'm a person of first impressions and after talking with them and doing my research I knew they were a good fit for me. I know they are not a perfect company but they are a perfect fit for me. Also I found a video on YouTube with a guy who drove for them he said they were a good company that does what they say. I chose them because I could go regional after training and they have good home time for drivers. Their pay is comparable to most companies. In my opinion they are a good company to consider. I start orientation with them on January 7th I will be posting my experience with them as I go. I would definitely get a pre-hire from them. Bonarro, Check out this YouTube video on double clutching the best I've seen. Thanks Richard for the info. Yes I have talked to HOW got my pre-hire from them back in October and I have talked to them a couple times since. Right now I scheduled to leave for Wisconsin on January 6th to start orientation on the 7th if all goes well. PJ glad all has gone well with you at Roehl, I looked at them early on but found HOW and they seem to be more suited for me. I have been following your post while in school and training was very informative and exciting to read everyday. Looks like the Georgia Boys are making their presence known in trucking. Wish both the best let's keep in touch as we go on. It went good Richard, got to drive over to Fulton industrial twice on Saturday. Got my shifting and down shifting pretty good. I remember you talking about having to downshift in such a short distance, on 278 that was for sure just about the time you would get up to 9th gear you be coming up on another light and have to down shift. I pretty much have all the skills down. We had the yard all to ourselves on Sunday so Joe our instructor got the keys to another truck so we had two trucks we were using got a lot of time behind the wheel. Have you got a start date with Schneider yet? Got ant bits of advice on the testing at Dalton that might help me. They say that the examiners at Dalton are a little more leanient than the other places, what's your take? I will keep you updated as I finish up school and get close to testing,keep me updated on your journey. Congratulations Richard, I know you feel relief to get that passed you. I wish you the best with Schneider. I can't wait until I get that day behind me. All this has been exciting and also a challenge but I'm ready to move on. I got to drive on the road today it was exciting and I felt at home but also realized that you have to be totally aware of everything going on around you.Driving a school bus for the last seven years helped me know the importance of being aware of everything around you. Going down Thornton Rd I think I caught every light but I sure got a lot of downshifting practice. Sure enjoyed it though and just confirmed to myself that I am a good fit for driving a truck. Look forward to hearing your post from Schneider orientation updates. Went to DDS today and took my Hazmat Endorsement Test. I passed it but was a little disappointed that I just passed. I have read over the High Road CDL Training numerous times and taken all the practice test here on Trucking Truth and I also did another sites practice test several times. But the questions that I missed were asked in a different way that caught me off guard. But I guess the important thing is that I did pass. I now have all my endorsements just got to finish up CDL School and get my class A then off to Orientation in January to H O Wolding in Amherst Wisconsin. Daniel Sorry to hear about the loss of your DM, Life just stinks sometimes doesn't it? I know you will will get through this with the a positive attitude because as I have followed your post I know you have what it takes to come out on top of the situation. I look at my kingpin setting rule for each state. I'm going through IL, KY, TN, GA. And TN has the lowest of 41' so I set my tandems at the 41' mark and head for the CAT scale. You made this statement about the kingpin settings for each state, where do you have that information, is it a downloadable file or something? Been looking for this information so I will have it when I hit the road soon. Would like to hear from some of you experienced drivers and some who are going through company training. My question is this, since you as the driver are responsible to make sure on a daily basis that the truck is in a safe mechanical condition are you required to perform such things as adjusting the brakes, replacing light bulbs in other words what do companies require or expect you to do other than adding oil coolant fluids and such. Not referring to O/O, just company drivers. I have heard alot of different advice and opinions on this. Yes Richard it was also good to meet you. I love driving its like I tell my wife about driving the school bus, I am more comfortable driving the bus or the truck than I am my car and I do love driving. I meant to ask you when you are testing I believe you will pass with no problem. I know i will get it but I will spend all week until next weekend analysing it over and over. This is the tough thing about doing the class on the weekends I have to wait a whole week before I can get back in the truck and do it again. All three of us in our truck are concerned whether we are going to test in the truck we are in now or they are going to switch us to a different truck at the end because the truck we are in now the city horn doesn't work the blinkers are not working it doesn't appear that it is a truck that they use for testing but maybe they do it is a 96 freightliner if they switch us hope they do it next week. Let me know after your testing especially would like to know about some details of the route they take you on. Good luck!! Just finished up my 4th weekend in driving school. Saturday we went to an Industrial Park to practice double clutching and shifting. I knew in my head I could do it I just needed to practice it. I started off a little rough but once I saw how important the right engine rpm was in being able to upshift and down shift without grinding gears I got pretty proficient at it. I have no problem turning and not hitting the curbs I started feeling like real truck driver. Today we practiced backing, parallel parking and alley dock parking. I can do straight line backing, offset backing and parallel parking pretty good. I struggled with alley dock, I think my set up is wrong I am getting too far to the passenger side I think I'm not pulling up enough, got to work on it next weekend I know I can get it. Well that's it for this weekend will let you know more next weekend. My wife brought up a question about taxes that I wonder if anyone could answer. If the company you drive for does not have a office in the state that you reside, do you have to taxes in the state that you live in and also in the state that the company is located? What a weekend I couldn't wait to get inside a big rig there are three of us in the truck, I was not prepared to patiently wait for long periods of time while others go through their learning curve. I guess I was expected everything to just click along but it didn't happen that way. Saturday was so frustrating for me I felt like I sat in the back of the truck for 3/4 of the day watching the others trying to learn the skills. We practiced double clutching and shifting and I knew in my mind how to do it but I was so frustrated I couldn't get my foot and hands to worked together and I admit I was a little over confident and was going from first to fourth. I came home Saturday evening wondering if I could really do this. I decided that I needed to calm down and be patient with others who are struggling. I decided today that I was going with a better attitude and just to go with flow and try to help my fellow students if I could the day went much better. I almost have the front of the truck and the engine compartment pretrip down just a few items I miss. I did the in cab and brake test with little problems and did it without study sheet. We did straight line backing did it with no problems my instructor even made get off center to see if I could do it without pulling up, did it!!! We did offset backing no problems, so today I knew I could do this I just got to be patient and not to become over confident, just relax and do my best. Got to get my pre-trip down this week so I can do it from memory next weekend. I hope we get to spend at least half a day on shifting I want to get this down and I know I can if I can just get enough practice. Everyone have great week will update next weekend. Hey Heavy C, I am sort like you I really didn't won't to go otr especially coast to coast and I figured trying to find a local driving job would be very difficult for a rookie driver. So I looked at companies that I could go regional with because there are some out there that give you that opportunity when you go solo, I choose H O Wolding for that reason, I talk to a great lady there named Carol and she was very upfront and honest with me about them they are a mid-size company family owned and from what I can tell very family oriented and for me I could go regional once I finish with Driver trainer. She told me they would try to get me home at least every other weekend and it was out 5 to 7 days then at home 1 1/2 to 2 days and I could run the southeast region which is great since I live in Georgia. Averitt Express, KLLM, Transport America, Schnider all have regional opportunities, I have pre-hires from KLLM, and Transport America and was waiting till I get about two weeks from graduation to apply with the other two. But right now my plan is to go with H O Wolding be leaving around January 6 to go to Wisconsin. I am sure there are others just have to search ask you recruiter at your school they should be able to give you some. Good luck. Great Richard, hope I will see you tomorrow at Katlaw. I was looking in my new Rand Mcnally Atlas for the kingpin to tandem settings all I found was the bridge formula. So I did a search and came up with this document. Some of you experienced drivers tell me if this looks right or is there some place else you get this information? Time to climb up in one of those beasts and figure out how to move it around now, eh? That's right Brett can't wait to get in one and start driving it down the road, I'm ready to get those wheels turning. Went today and took my Combinations, Doubles-Triples and Tanker exams, passed with two 90's and one 95. So got my A permit. Waiting until I get my letter back from Fed's on background check then going to take Hazmat test. Now I will focus on High Road Training. On hazmat. To those studying for exam the High Road Training Program is the best tool to use, Make sure you answer the questions how the manual says it, everyone I missed I knew better but I over thought the question or I tried to get logical about and it messes you up just think and study the cdl manual even if the answer doesn't make sense in the real world, the test is to see if you have read the manual. So on to Driving range and road Training. Just my opinion, but I think you have to decide which company fits you better. The money is important but you could be making good money and be miserable because the company doesn't fit your lifestyle needs. For example I looked at several companies and Averitt for example pays the highest Training pay than I have seen and start you out really good. But I chose to go with H O Wolding because I felt they fit my desired lifestyle as a truck driver. Their pay was a little less but after my research and talking to a great lady in the office there I felt like this was a perfect fit for me notice I didn't say they were a perfect company they were just a perfect fit for me I believe I can be happy working for them. Remember you are interviewing them as much as they are interviewing you. Personally I wouldn't just go to another company solely based on money, but that's just me. Remember as I have heard it stated on here so many times get your CDL and stick with a company for a year then you will many opportunities before you just try to pick a company that fits you best.